Samsung Electronics America, Inc., a market leader and award-winning innovator in consumer electronics, announced the imminent availability of its first-ever eReader product for the US market. Initially previewed at CES 2010 in January, the Samsung eReader makes reading a personal experience. Not only can users easily access content, but they can also write notes and thoughts directly on the page, highlight content that matters to them and share notes with friends and peers. Samsung combined over one million electronic titles, advanced handwriting capabilities and WiFi connectivity into a single, easy to use device that allows users to read, write and share on the go. The Samsung eReader is an authentic eReading companion in the digital age. Samsung Electronics America also announced that its parent, Samsung Electronics Co., Ltd., has formed a partnership with Barnes & Noble to provide the eCommerce storefront for the Samsung eReader. Users can access Barnes & Noble’s expansive digital library of more than 1 million eBooks, eMagazines and eNewspapers. 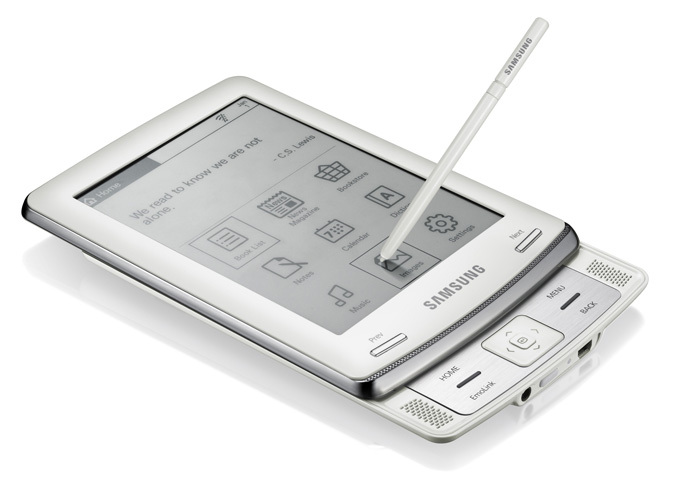 The most visibly distinguishing feature of the Samsung eReader is its electromagnetic resonance (EMR) stylus pen. This innovative EMR stylus grants users the writing capabilities that are typically associated only with traditional paper books, such as making annotations in the margins and recording one’s own thoughts and interpretations while reading. eBooks, newspapers and even images can be easily modified with direct handwriting and memos on content, while voice recording functionality enables users to create audio memos and annotations. With the included journal, scheduler and memo applications, users can utilize the stylus to write and save entries, which are made available for thumbnail viewing and easy search. An electronic dictionary is also available both in and out of eBook reading. Samsung’s compact, portable eReader, features a slider form factor and incorporates a 6” E-ink display (600×800) with 8-Gray scale for easy readability both indoors and out. It supports e-pub, PDF/a, TXT, bmp and jpg formats. Utilizing the built-in front speakers or the convenient head phone jack, consumers can experience Samsung’s text-to-speech (TTS) technology, which reads text aloud and allows users to continuously enjoy their favorite content even while driving or during crowded commutes. The built-in MP3 player allows users to transport and enjoy their favorite music, audio books, podcasts and other audio content on a single device. The Samsung eReader allows for connectivity between public and private spaces, with both a Wi-Fi (802.11 b/g) network that allows for direct purchase and download of content without a PC connection, and Bluetooth 2.0 connectivity allowing for audio transmission to wireless headphones. Samsung’s unique EmoLink technology enables users to share content between Samsung eReader devices. In addition, a built-in dedicated program will sync the eReader scheduler with users’ personal PC Outlook. 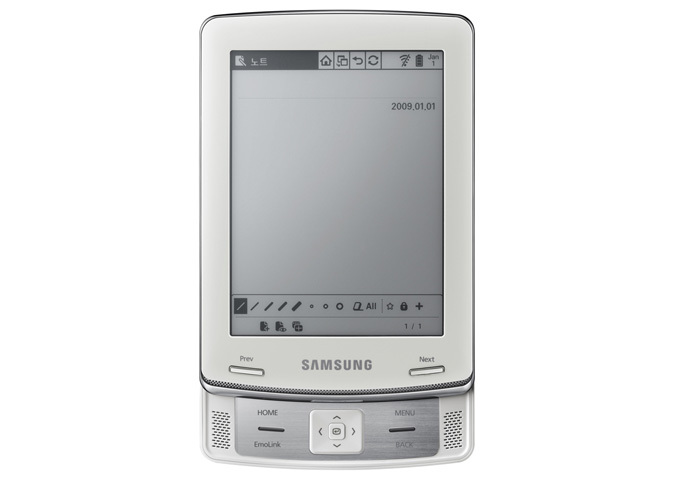 With 2GB of internal memory, the Samsung eReader can easily store 1,500 books or 24,000 pages of memos. 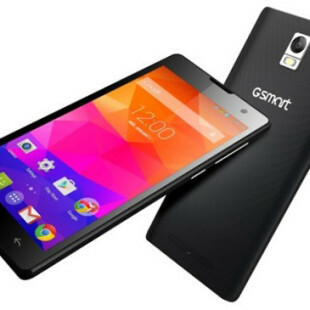 An external Micro SD card slot increases the device’s storage capabilities by an additional 16GB. Through Samsung’s partnership with Barnes & Noble, users can easily download more than one million eBooks and ePeriodicals, with most bestsellers at $9.99. Users will have the ability to browse, sample, purchase and download a wide variety of content from the world’s largest eBookstore in seconds, over a Wi-Fi or PC connection. Samsung eReader users will also be able to take advantage of breakthrough Barnes & Noble features, such as the industry-first LendMe™ technology which enables consumers to lend a wide selection of eBooks to friends free of charge for up to 14 days. Just choose the book you want to share and send it to your friend’s Samsung eReader or a host of other computer and mobile devices with free Barnes & Noble eReader software.